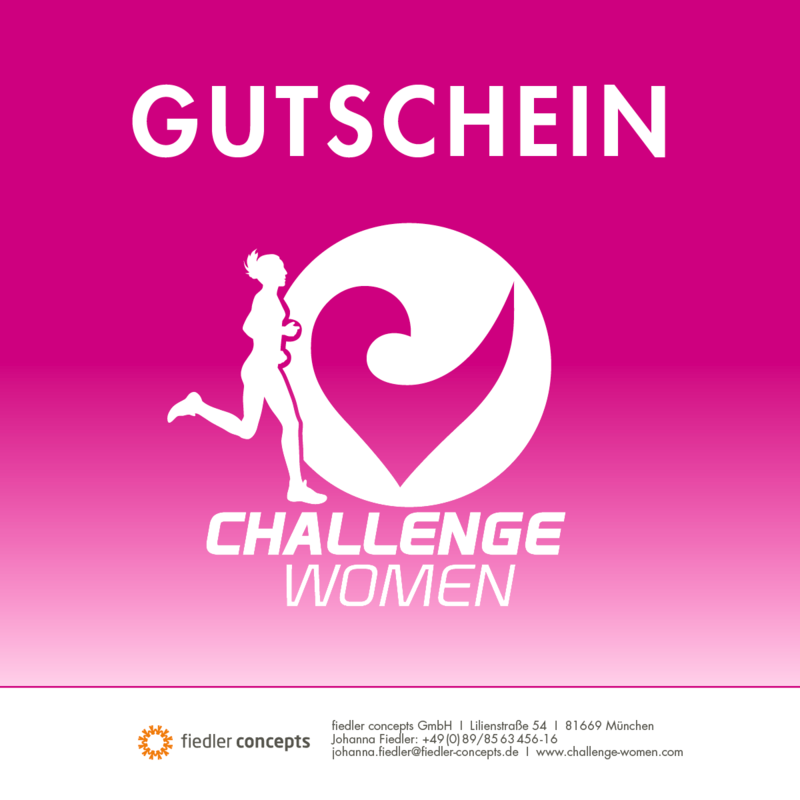 and CEP testimonial Michelle Vesterby will guide us the way at the CHALLENGE WOMEN 2014 and 2015! 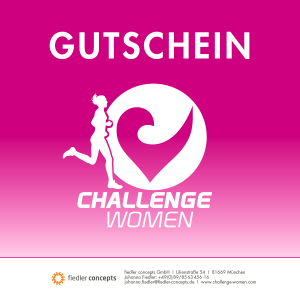 Even though she is starting at the long distance race on Sunday she will lead all CHALLENGE WOMEN along the track on the guiding bike – thank you so much Michelle for your commitment! 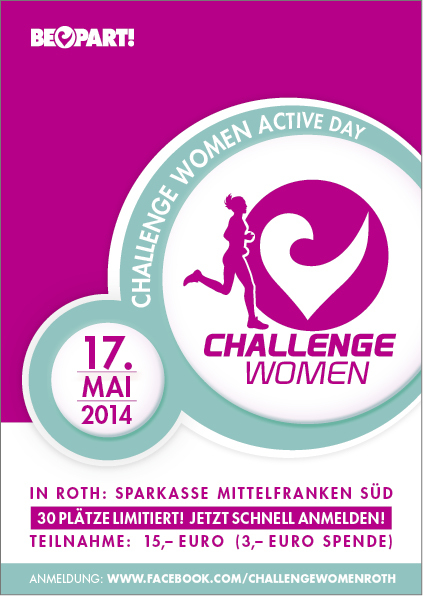 The first Challenge Women Active Day was a great success! 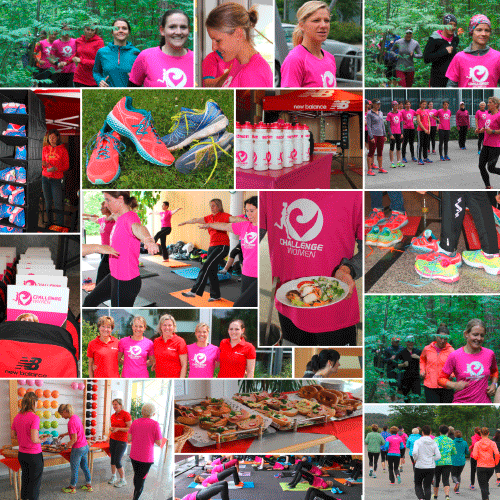 We had a fabulous day full of action and fun thanks to our host Sparkasse Mittelfranken-Süd and our supporter New Balance Germany! 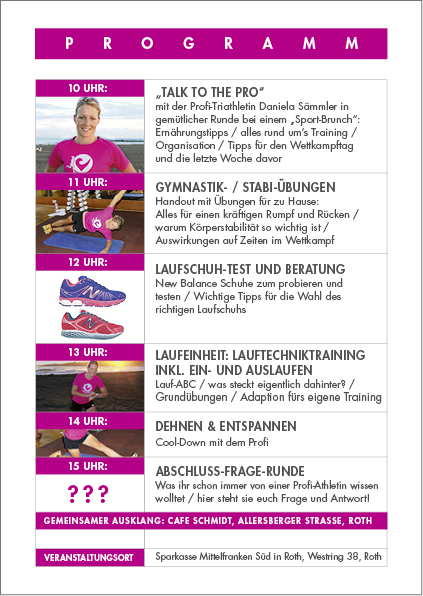 25 girls spent the day with Anja Beranek and Dani Sämmler - our two professional athletes who revealed their best tips and tricks about running. 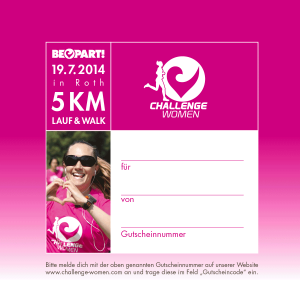 Here the nicest impressions..
You can purchase gift vouchers for your best friend, sister, mother, daughter or just anyone you want to give the Challenge Women virus to! 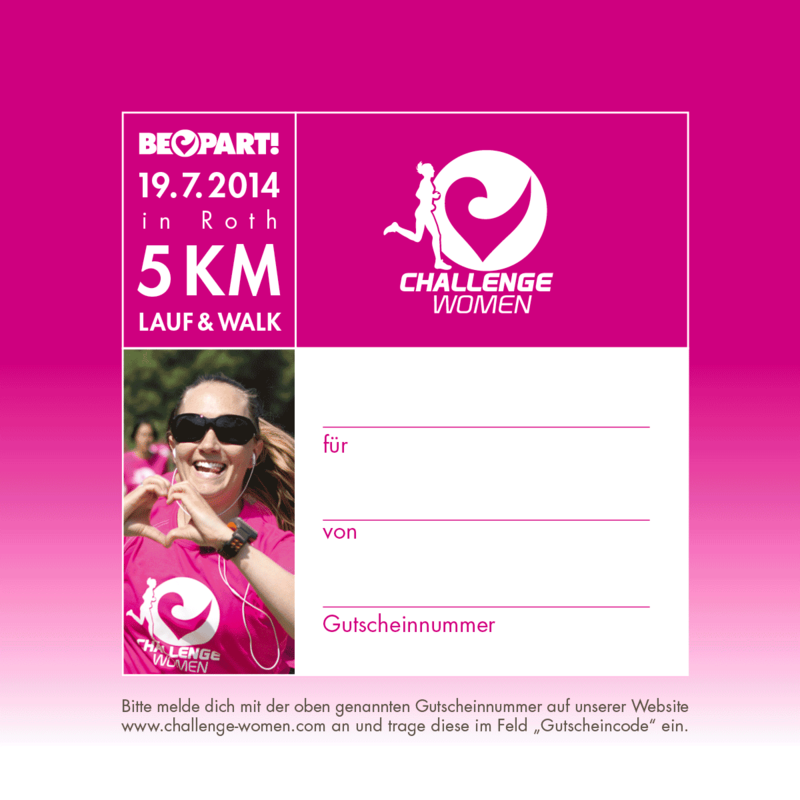 To purchase a gift voucher please contact us under info@challenge-women.de! 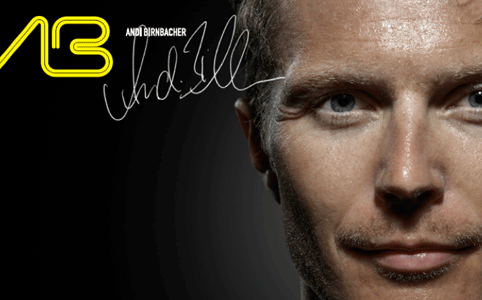 DATEV Challenge Roth, the world 's largest long-distance triathlon, was honoured this weekend at the Oscars del Triathlon in Milan and judged the “World’s Best Triathlon". Under the patronage of the Italian Triathlon Federation (FITri) and the Lombardy region, the gala evening highlighted the importance of triathlon in Italy. The awards were judged by a high-level jury, consisting of FITri officials, journalists and triathletes. The "Oscars del Triathlon" were awarded in 11 categories. The Oscar for the best triathlon in the world was accepted by a delighted Kathrin Walchshöfer of DATEV Challenge Roth.